Jenny Kane - jkane@shawmedia.com From left to right, Dekota Keleun, Jack Covell and Payton Dougherty, discuss the plans on how to get the most eggs before the Woodstock Jaycees's annual Easter Egg Hunt at the Hilltop Pavilion at Emricson Park in Woodstock on Saturday. Jenny Kane - jkane@shawmedia.com From left to right, Payton Dougherty, Jack Covell, Mark Duenas, and Garret Baumgarten discuss the plans on how to get the most eggs before the Woodstock Jaycees's annual Easter Egg Hunt at the Hilltop Pavilion at Emricson Park in Woodstock on Saturday. 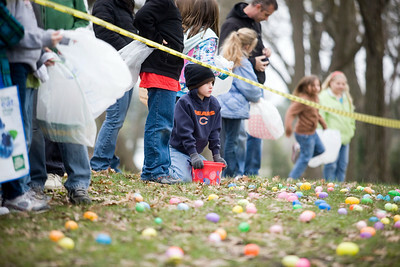 Jenny Kane - jkane@shawmedia.com Madison Kentgen, 7, of Woodstock, waits in front of the easter egg area for the 7 to 10-year-olds before the Woodstock Jaycees's annual Easter Egg Hunt began. 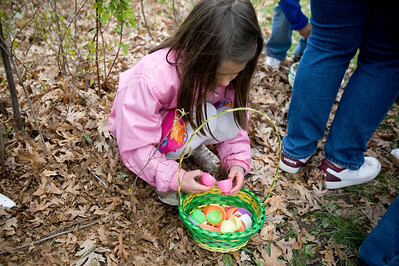 Jenny Kane - jkane@shawmedia.com Madison Kentgen, 7, of Woodstock, opens up the eggs she found during the Woodstock Jaycees's annual Easter Egg Hunt at the Hilltop Pavilion at Emricson Park in Woodstock on Saturday. 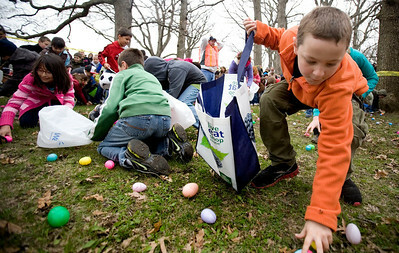 Jenny Kane - jkane@shawmedia.com Tristan Carter, (right) gathers eggs during the Woodstock Jaycees's annual Easter Egg Hunt at the Hilltop Pavilion at Emricson Park in Woodstock on Saturday. 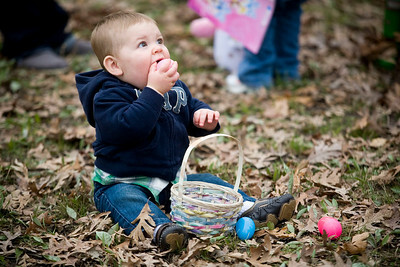 Jenny Kane - jkane@shawmedia.com McHenry resident, 10-month-old Lincoln Uhlmann tries to eat one of his plastic easter eggs after the Woodstock Jaycees's annual Easter Egg Hunt at the Hilltop Pavilion at Emricson Park in Woodstock on Saturday. 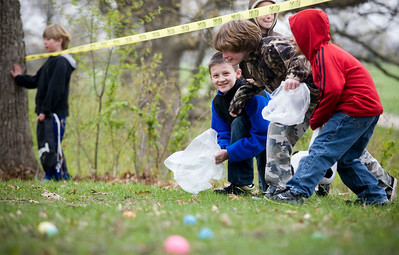 Jenny Kane - jkane@shawmedia.com From left to right, Payton Dougherty, Jack Covell and Mark Duenas, discuss the plans on how to get the most eggs before the Woodstock Jaycees's annual Easter Egg Hunt at the Hilltop Pavilion at Emricson Park in Woodstock on Saturday. 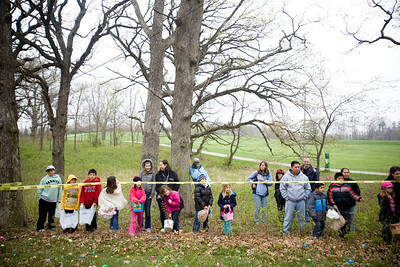 Jenny Kane - jkane@shawmedia.com A group of 7 to 10-year-olds and their parents wait for the Woodstock Jaycees's annual Easter Egg Hunt at the Hilltop Pavilion at Emricson Park in Woodstock on Saturday. 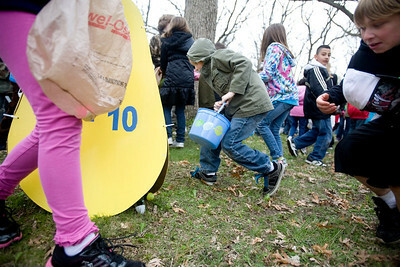 Jenny Kane - jkane@shawmedia.com Malinda Boal, of Woodstock, looks at the easter eggs her son Karson, 4, and Kylie, 8, collected during the Woodstock Jaycees's annual Easter Egg Hunt at the Hilltop Pavilion at Emricson Park in Woodstock on Saturday. 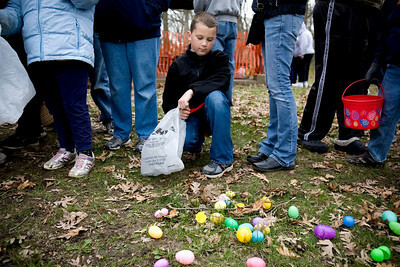 Jenny Kane - jkane@shawmedia.com Kyle Zang, 10, of Woodstock, waits patiently until he and the rest of the 7-10 year olds are allowed to collect eggs during the Woodstock Jaycees's annual Easter Egg Hunt at the Hilltop Pavilion at Emricson Park in Woodstock on Saturday. It was Zang's last year to collect eggs. 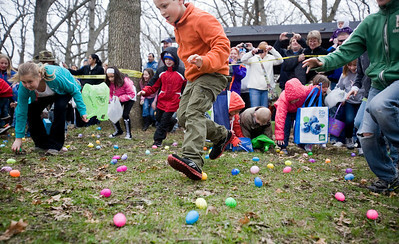 Jenny Kane - jkane@shawmedia.com A group of 7 to 10-year-olds rush the easter egg hung area during Woodstock Jaycees's annual Easter Egg Hunt at the Hilltop Pavilion at Emricson Park in Woodstock on Saturday. 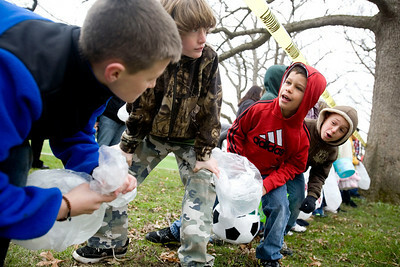 Jenny Kane - jkane@shawmedia.com Tristan Carter, (center) gathers eggs during the Woodstock Jaycees's annual Easter Egg Hunt at the Hilltop Pavilion at Emricson Park in Woodstock on Saturday. 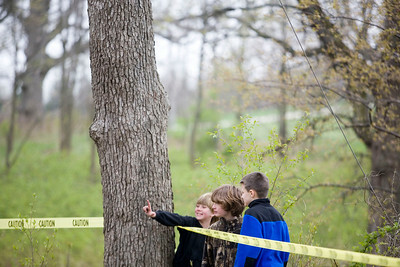 Jenny Kane - jkane@shawmedia.com A child sword fights using a stick with a tree while waiting for the Woodstock Jaycees's annual Easter Egg Hunt to begin at the Hilltop Pavilion at Emricson Park in Woodstock on Saturday. 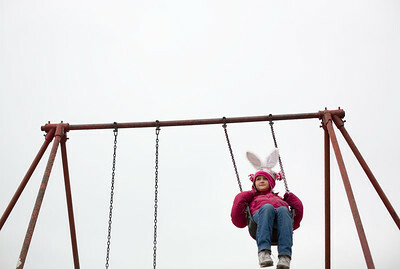 Jenny Kane - jkane@shawmedia.com Madysen Lockinger, 7, of Woodstock swings on the swings set at Emricson Park in Woodstock before the Woodstock Jaycees's annual Easter Egg Hunt on Saturday. 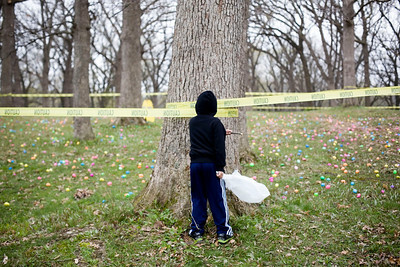 A child sword fights using a stick with a tree while waiting for the Woodstock Jaycees's annual Easter Egg Hunt to begin at the Hilltop Pavilion at Emricson Park in Woodstock on Saturday.